RUBBERCRAFT PRODUCES A WIDE VARIETY OF SEALS AND GASKETS THAT ARE USED EXTENSIVELY IN AEROSPACE, AVIATION, DEFENSE AND MEDICAL INDUSTRIES. Our elastomeric seals are widely used throughout both commercial and military aircraft, including wing seals such as flap, slat, aileron and spoiler applications; engine nacelle seals including fire barrier seals; airframe seals including door, window, pylon, molded plate, fairing, hatch and access panel seals, and also all interior products that require specific FST (fire, smoke, toxicity) and color matching. Rubbercraft’s products are fabricated from specially-formulated compounds tailored to exact project requirements. We manufacture seals that can operate in almost any environment, including vacuum, aerodynamic and media pressure, extreme hot or cold, fuel or chemically corrosive, and with the ability to seal moving surfaces. To assist installation and enhance reliability, we develop optimized adhesives and mounting interfaces, including incorporation of substrates to suit the application. All Rubbercraft seals and gaskets are rigorously tested to ensure that they conform to the design and will operate reliably. We can perform a wide range of physical, mechanical, and Kinematic tests on the seal configurations to validate lifecycle performance, material properties, deflection loads, and changes in geometry and deterioration over time and exposure to different environmental elements. 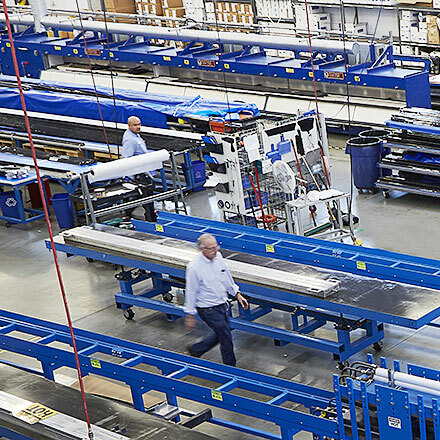 With a sharp focus on aerodynamic efficiency, Rubbercraft offers both standard and custom designs – developed for efficient assembly, ease of maintenance and reliable service. The range includes seals for wings and moving surfaces – including complex aerodynamic semi-structural seal systems , fabricated seals and extrusions for wing seals, doors and hatches, interior couplings, inflatable cockpit canopy seals and fuselage fairings. Rubbercraft’s specialization in this area is without doubt our greatest strength, having worked with almost every type of Aerodynamic seal or system out there. Rubbercraft offers a wide range of sealing systems for engine and engine management applications, including fan blade annulus fillers, fan cowl/thrust reverser doors, heat exchangers, drive shafts, air intakes, fairings and coupling systems. Not to mention the APU door, duct, inlet and exhaust generator seals. Our experience in this sector ensures in-depth knowledge of the performance of materials at very high temperatures up to +518°F /270°C and we also have specialist products which can perform at /+572°F /+300°C. 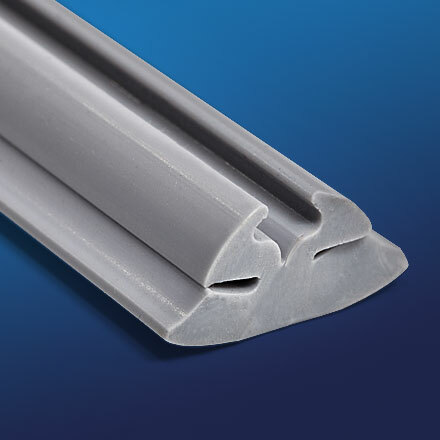 Rubbercraft seals, where required, are reinforced with various fire retardant materials, such as fabrics, to meet fire resistant and fire proof requirements. Most engines require fire proof or barrier seals and it is usually the case that the elastomer product must be custom designed to ensure maximum sealing effectiveness and safety in the air. With typical operating environment ranging from temperatures as low as -58°F/-50°C up to highs of +527°F/+275°C many applications calling for meticulous product development and specification is vital. 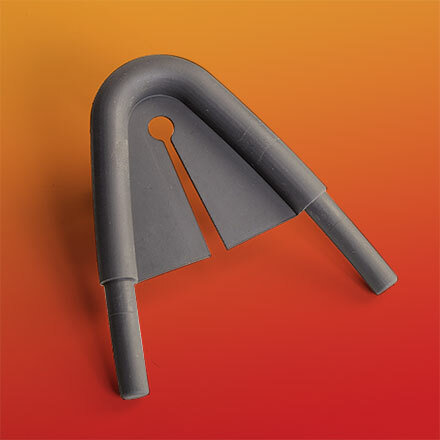 Rubbercraft seals, where required, are reinforced with various fire retardant materials, such as fabrics, to meet fire resistant and fire proof requirements of up to 2000°F. You can count on Rubbercraft to have it covered. Rubbercraft manufactures a wide range of ECS components and ducting systems, including connectors and bellows and has long standing experience in the demanding aerospace sector. 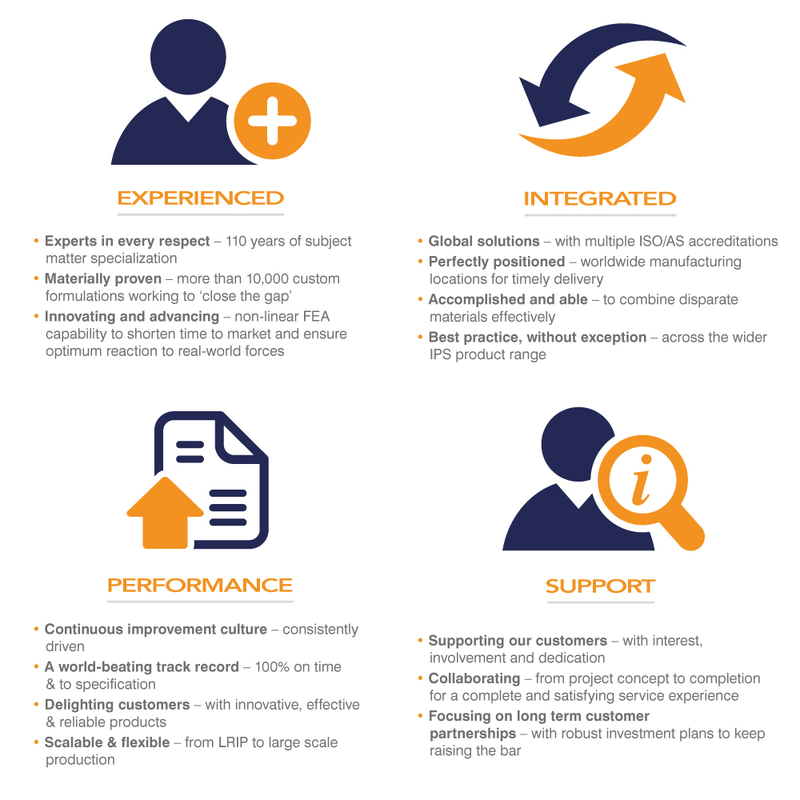 Working with OEM’s and sub-tier suppliers, our flexibility of manufacturing facilities ensures the same impressive resources are directed at projects both large and small. With an emphasis on low cost but high quality, Rubbercraft is always a safe choice. Take a look at our Seals and Gaskets Brochure for more information. Take a look at the details below for further information about the specifications & capabilities of our Seal & Gasket products. Our gaskets can be designed to operate in many harsh environments, including: Jet fuel resistance, ozone exposure, salt resistance, water, alkaline resistance, acid resistance, and others.